With beautiful jungle lined beaches, exotic wildlife, and a seemingly endless list of adventure activities, it’s no wonder why Manuel Antonio is Costa Rica’s most popular beach destination! Imagine a golden sand palm studded beach with jungle lined hillsides surrounding it. Add in a national park that is packed with wildlife and some of Costa Rica’s top tour operators and you have the perfect combination for an unforgettable vacation! Manuel Antonio’s Playa Espadilla has probably graced the cover page of more vacationer’s photo albums than any other beach in Costa Rica. This picture perfect paradisaical beach provides ideal swimming conditions and waves just big enough to enjoy boogie boarding and surfing. Between swimming and relaxing, be sure to take a stroll along the palm line, where you’ll likely come across a troop of monkeys or other wildlife. 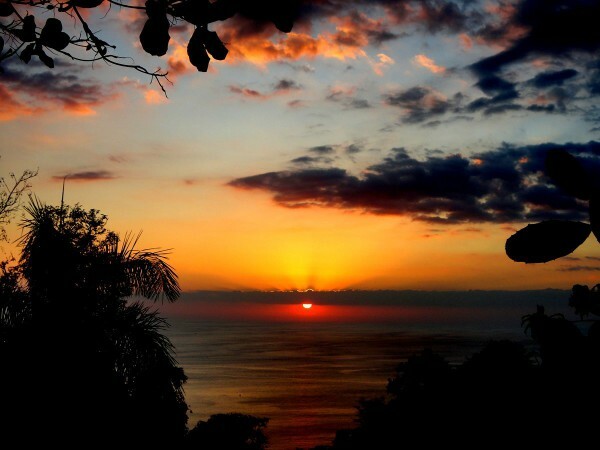 Costa Rica’s smallest national park has a lot to offer! 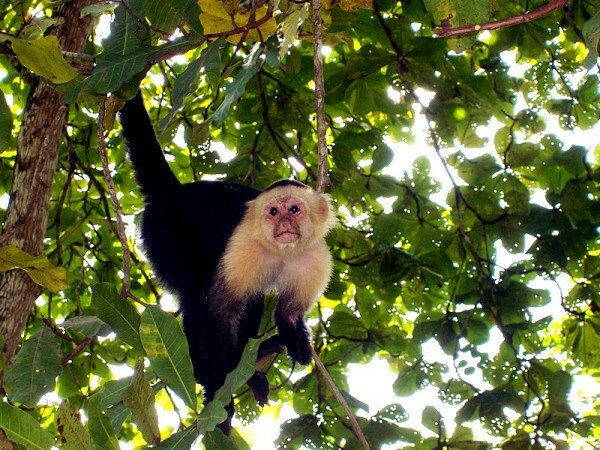 If you are searching for beautiful beaches and loads of wildlife, look no further than Manuel Antonio National Park! A day trip through the park will be spent on groomed trails and it just may be the best place in the country to see monkeys and sloths. 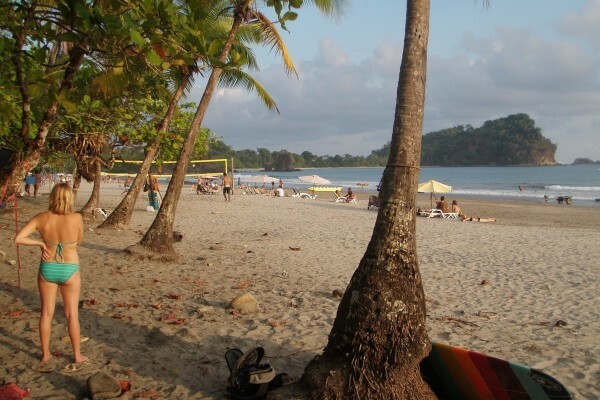 Don’t forget to pack a bathing suit as the park also protects one of the most beautiful beaches in Costa Rica. 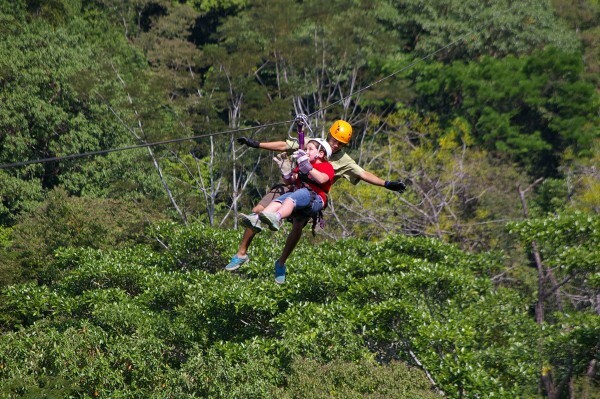 The El Santuario Canopy Adventure Tour is a thrilling zipline course offering a total of 11 cables with one nearly a mile long! The course is set over and through the rainforest canopy with multiple platforms, a hanging bridge, and even an epic rappel decent. With some cables set at up to 300 feet above the ground, El Santuario is certainly among the most exhilarating ziplines in Costa Rica. 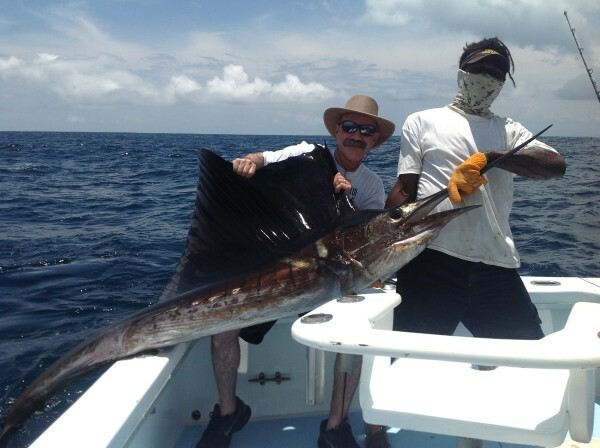 The waters off the coast of Manuel Antonio are teaming with exotic sport fish such as Marlin (September – November), Sailfish (December – April), Roosterfish (all year but best from June – October), Wahoo (June – August), and Mahi-Mahi (May – October). 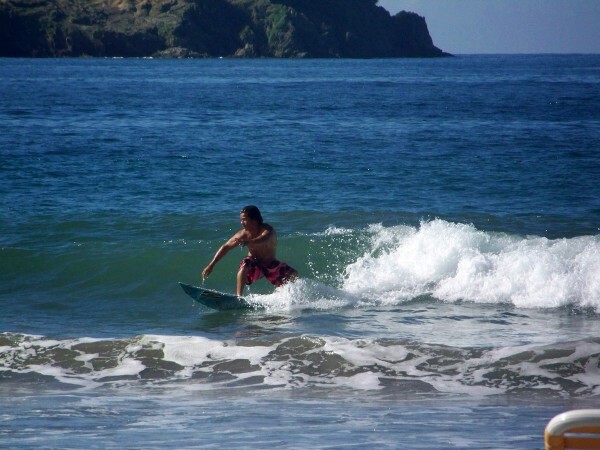 Learning how to surf is easier than you think and Manuel Antonio is an ideal place to do so. The small waves and warm waters of the palm studded Playa Espadilla set the stage for the ultimate surfing safari! Most visitors to Manuel Antonio will spend their days on the gorgeous Playa Espadilla, but there is also a lesser-known beach by the name of Playa Biesanz that will steal your heart. To reach this hidden gem, follow the road towards Hotel Parador. About 400 meters before the hotel entrance you will likely see a few cars parked on the side of the road and a gate along the fence. Park there and follow the trail back to the beach. 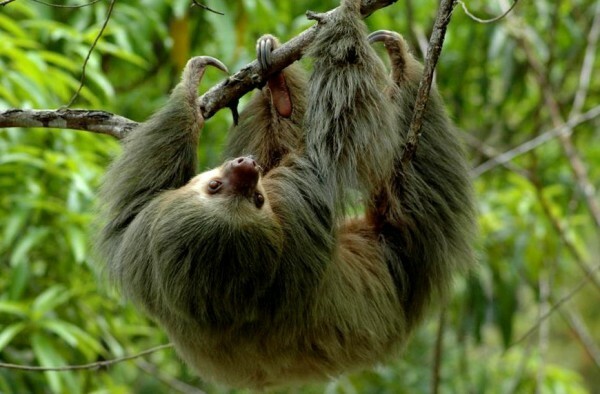 Keep your eyes open along the way as monkeys, sloths, iguanas, and other critters frequent the area! While Manuel Antonio is not known for the greatest snorkeling, Playa Biesanz is actually a pretty good spot between the end of December and April. 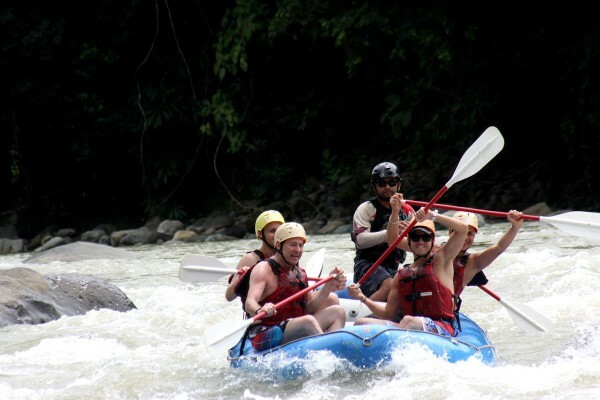 Located only 30 minutes from Manuel Antonio, the Rio Savegre is among the best whitewater rafting rivers in Costa Rica. Adventurers will be treated to class II, III and IV rapids on this fast paced, warm water river. Some of Costa Rica’s most beautiful waterfalls can be visited in the mountains near Manuel Antonio, but be prepared for an adventure! 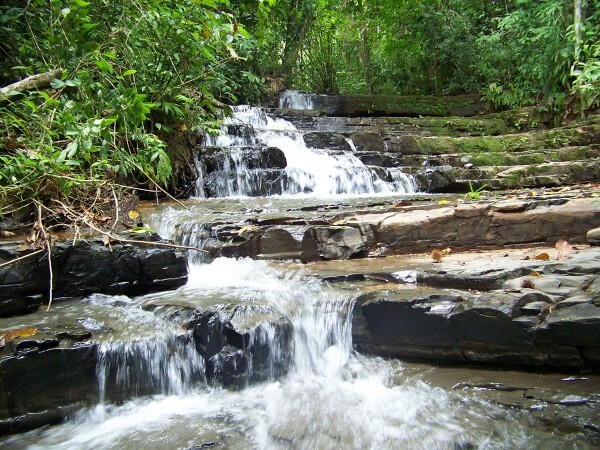 The Tocori Waterfalls at Rancho Don Gilberto are absolutely beautiful with a nice pool for swimming beneath them, though only accessible via a guided horseback ride. Thrill seekers may prefer one of the nearby waterfall rappelling and canyoning tours. Imagine taking in the beauty of the rainforest as you rappel down the face of a towering waterfall! You won’t need to go far to find an alternative to the national park for wildlife observation. The Damas Island Estuary is loaded with animals and a unique alternative to hiking in the park as the estuary is only accessible by boat. This is one of the best ways to see monkeys and crocodiles up close. There are so many, that this is often referred to as the “monkey tour”! I don’t quite know what it is, maybe it’s the contrast of the emerald green hillsides against the turquoise sea and the golden, orange, and red hues of the setting sun, but for some reason, sunsets just seem to be more vibrant and beautiful at Manuel Antonio. You don’t have to be on the beach as there are many miradors along the hills, but don’t miss out on nature’s final curtain call of the day. 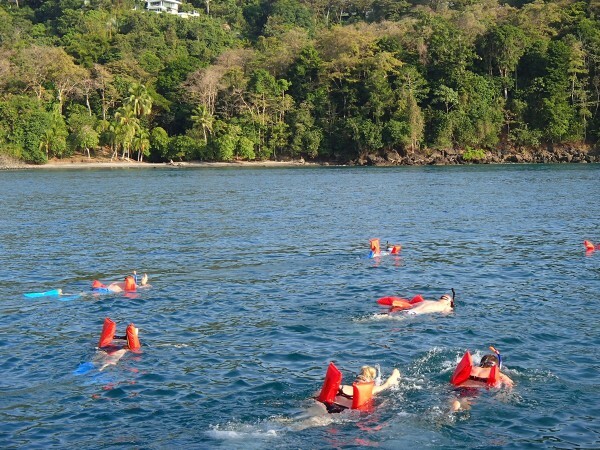 What’s your favorite things to do at Manuel Antonio? Please share in the comments section below.